Demco and Northamptonshire have launched a 'Shops for Libraries' video about introducing merchandising outlets into library spaces. Demco worked closely with the Northamptonshire Libraries and Information Service team on the design and roll out of shops in libraries across the county. The five-minute video provides an introduction to planning and design, and includes the reactions of staff and public to the venture. To accompany the video, the team at Northampton has produced a PDF of Top Tips for Library Shops. To obtain a copy, or to find out more about managing shops in libraries, you can email them at libraryshop@northamptonshire.gov.uk. Watch the five-minute video on You Tube. 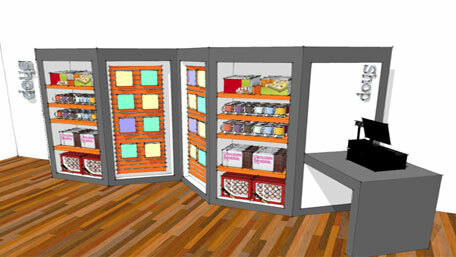 More information about pop-up shops and merchandising on the Demco website.